Let’s go for some number play activities. Did you know the Olympic Games can help children develop familiarity and confidence with numbers? As we watch and listen to some of the Olympic events, we are interested in the numbers. How fast was that race? What heavy was the bar in weight lifting? Who came first? Numbers are tremendously important in the Games. As kids watch and listen, they are hearing and seeing numbers. The following suggestions for number play activities are from an earlier post. Math can be a challenge for some not just in school but for their entire life, so basic familiarity with numbers is vital, and it’s easy and fun to do. Play with numbers helps kids up their comfort level with numbers. One way to show kids that math is part of our lives, is to notice all the places where there are numbers. When getting up in the morning, count to make sure there are two feet and one didn’t get left in the bed. Numbers can be part of getting dressed. Two feet need two socks, but where or where is the other sock? Count the buttons on the shirt as it gets done up. 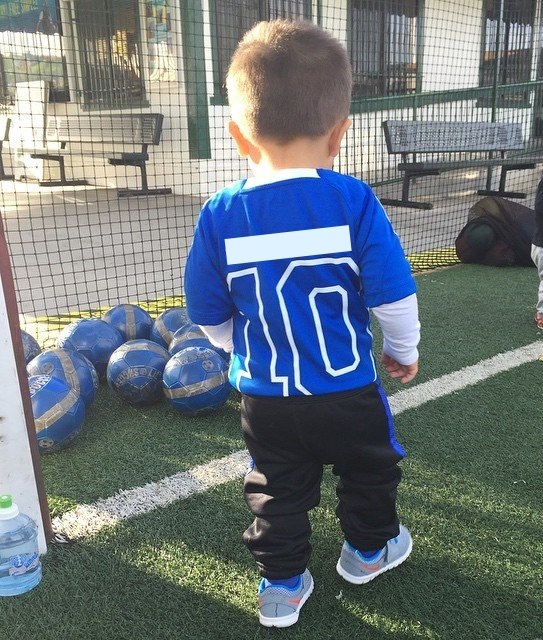 Young children may have favorite sports players and proudly wear their numbers. 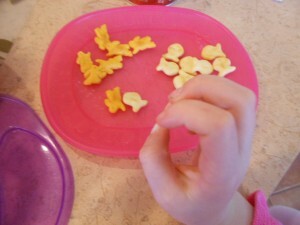 Breakfast also includes a serving of numbers and the math concepts of more and less. The street will have signs and there are numbers on houses, cars, and offices. 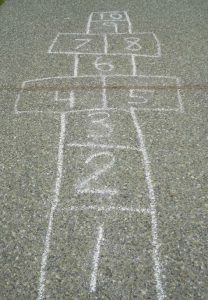 On the playground, count 10 pushes on the swing, then both of you can count again. For a snack, count the raisins for ants on a log. 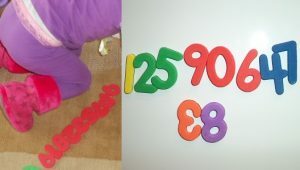 Set out some foam numbers or fridge magnets. 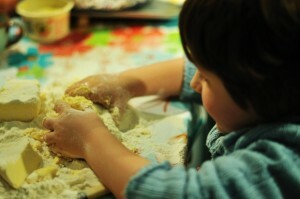 Roll out some number fun with playdough and make them in sand. 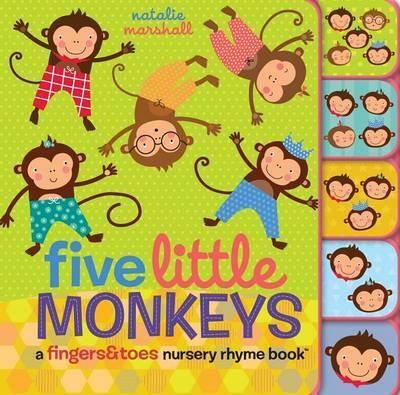 Read books with numbers and sing songs. Songs for counting are easy to sing and repetitive like 5 Little Monkeys Jumping on the Bed and The Ants Go Marching. Have fun with shapes. Look for them, use them in art, read about them, and eat them. Build and cook, measurement is part of both. 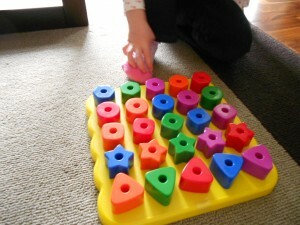 Kids explore volume as they play with water and sand. Do puzzles, race cars. Play games. All of this adds up, pardon the pun, to building math confidence rather than math anxiety in kids. What fun with math can your child have today?